Had Kyrie Irving not demanded a trade from the Cleveland Cavaliers last summer, the team could still have a foundation worthy of winning multiple championships. The duo of Kyrie and LeBron James could have been up there with the greats like Michael Jordan-Scottie Pippen and Kobe Bryant-Shaq. Yet, for inexplicable reasons never truly revealed, James and Irving's relationship slowly deteriorated and the Golden State Warriors got a free pass from the East this year for an easy NBA Finals sweep. Several reporters who covered the Cavs beat during the criminally short Kyrie-LeBron stint recently appeared on Bull & Fox radio show on 92.3 The Fan in Cleveland. Jason Lloyd of The Athletic, Joe Vardon of Cleveland.com, and Dave McMenamin of ESPN revealed eye-opening details of how Irving reportedly never wanted James to return to Cleveland after leaving for the Miami Heat. 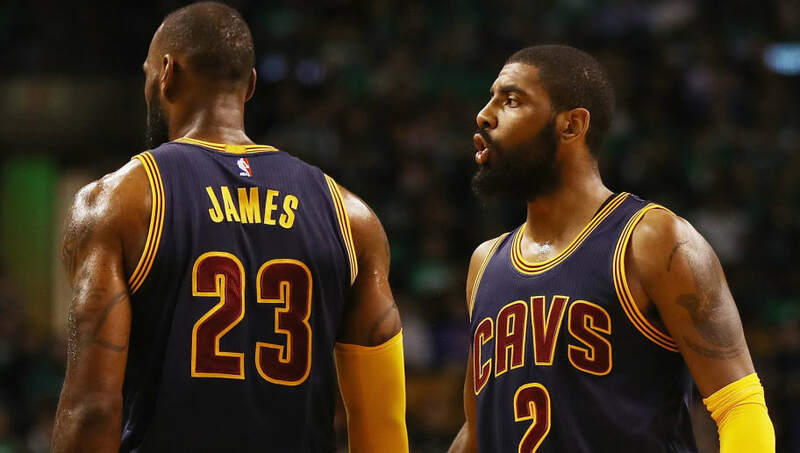 Other information such as allegations that Kyrie was not interested in playing a supporting role to LeBron and that Irving did not appreciate James' methods of leadership all were expressed by the reporters. Bro so much inside info about Kyrie, LeBron and the Cavs was released during this podcast wow. scroll through the pictures and check the pod out. There is a lot of conversation and behind-the-scenes developments between the two that the public may never get insight too. If any of the information is true, though, then it's hard to understand why Irving felt such a way that errs on the side of over-dramatic. It was so clear to the world after Cleveland's miraculous Game 7 victory over the Warriors in 2015-16 that the Cavs needed Irving as much as they needed James. For him to feel such disdain for James and want to be the No. 1 instead seems selfish. Again, there may be a lot more to what's going on in Irving's head that the public may never know, but with these reports out and Kyrie not defending them brings the assumption of truth to the claims. That alone makes Kyrie look as if he's the bad guy, something a player of his caliber and talent should not have to bear.